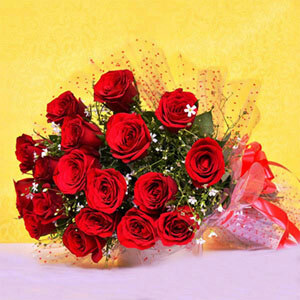 This exclusive hamper comes with fresh 15 Red & Yellow Roses along with 24 pieces of Ferrero Rocher Chocolates. 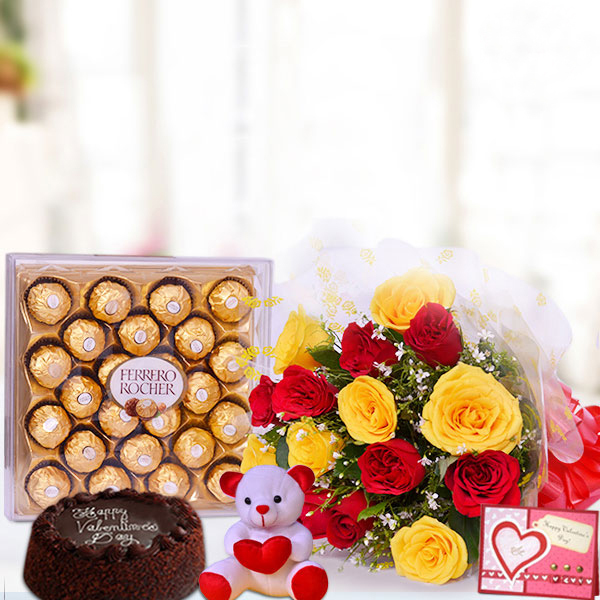 But this is not it as the hamper is inclusive of one attractive Valentine’s Day Greeting Card, one yummy Chocolate Cake of 500gm and one cute little Teddy of 6 inch, making it a cheerful Valentine’s Day gift surprise. 5 Amazing Online shopping experience. This gift hamper was a big surprise for me. 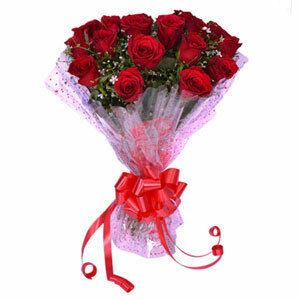 The delivery was timely and the quality of the cake and roses was extremely fresh.